We can’t quite believe it’s really been 10 years since 2008 which was nothing short of a huge year for film. We had the pleasure of sitting through cinematic classics, brilliant kid’s films and heart-warming chick flicks. Take a trip down memory lane with our list of some of the best films to be released in 2008! Before Slumdog Millionaire’s release in 2008, most of us knew Dev Patel as Anwar from Skins, rather than Jamal Malik from Bombay. In terms of a big screen debut, Patel’s couldn’t have been bigger – he captured our hearts in his role, which was one of the most successful films of the year. Jamal has a shot at winning ₹20 million on world-renowned game show Who Wants to Be a Millionaire? with a back-story of experiences to explain how he knows all the answers. It won a heap of awards including a BAFTA for Best Film, Golden Globe for Best Screenplay and the Best Director Oscar for Danny Boyle. Christopher Nolan’s The Dark Knight was the highest-grossing film of 2008 by a considerable gap of more than £210 million. 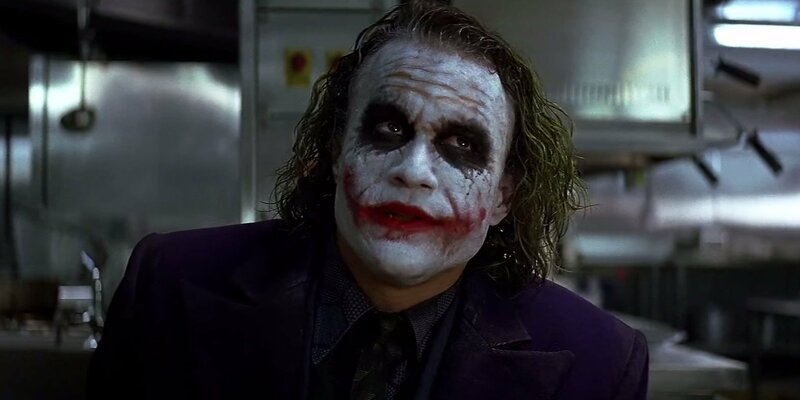 It was hard not to be enthralled by Heath Ledger’s stunning performance as The Joker; a role which saw him pick up Best Supporting Actor gongs at the BAFTAs, Golden Globes and Oscars. Unfortunately, Ledger wouldn’t live long enough to see the impact he had as he sadly passed away in January 2008. Based on F. Scott Fitzgerald’s short story, The Curious Case of Benjamin Button was a big hit on the awards circuit. The story told the tale of Benjamin Button, who appears to be ageing in reverse – portrayed by Brad Pitt. It took home Best Art Direction and Best Visual Effects at the Oscars, as well as Best Production Design, Best Visual Effects and Best Make Up and Hair at the Golden Globes. It took in more than £242 million at the box office. Will Ferrell and John C. Reilly starred in one of the funniest films of the year, just two years after starring together in Talladega Nights: The Ballad of Ricky Bobby. Step Brothers gave us Brennan and Dale, two 40-year olds who still live at home with their parents. When Brennan’s mum falls in love with Dale’s dad and get married, Brennan and Dale become stepbrothers – much to their annoyance. It’s one of the most quotable films of the last decade, as funny now as it was then. Carrie Bradshaw and co. made it on to the silver screen, four years after the TV show ended. We see how the storylines of each women has progressed; lots of love, drama and sadness across the board. Carrie is jilted on her wedding day, Samantha has moved to LA, Miranda separates from her husband Steve and Charlotte has difficulty conceiving a baby. Alls well that ends well though, as the movie closes with the ladies sipping on those famous Cosmopolitans! It was a big success, taking in more than £301 million at the box office. Ten years ago, robot WALL-E stole the hearts of the masses in the Best Animated Feature Film of the year. The film is set almost 800 years after the release date, in a dystopian Earth that has been abandoned. WALL-E has been left behind to clean the mess up, and develops the ability to think and feel, falling for fellow robot EVE. WALL-E was a huge hit, with more than £386 million at the box office. We truly were spoilt for choice in 2008! Been a while since you’ve seen one of these classics? Grab them now at musicMagpie, with FREE delivery on your order!